Strange title. This was an exhibit at The Little Black Gallery on Park Walk a couple of months ago. It showed photographs of dogs in cars. 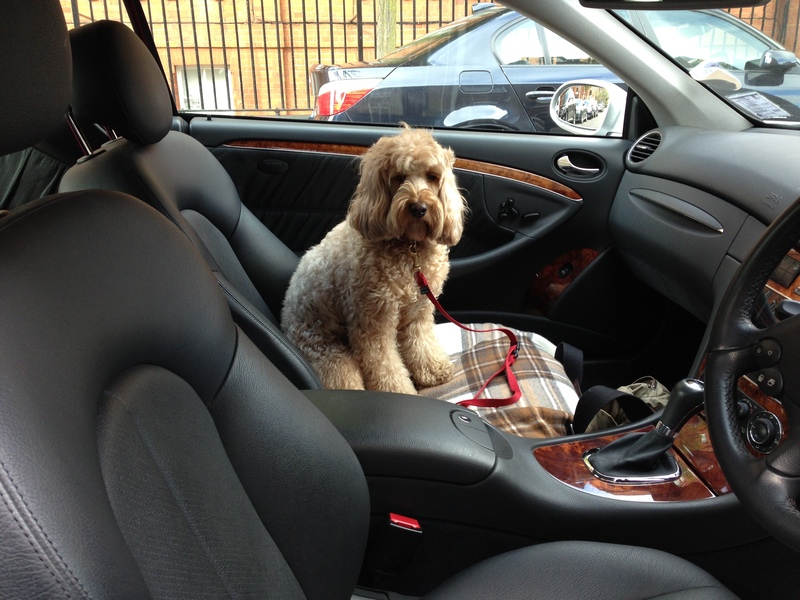 Mummy told them she also has some photographs of me in cars! 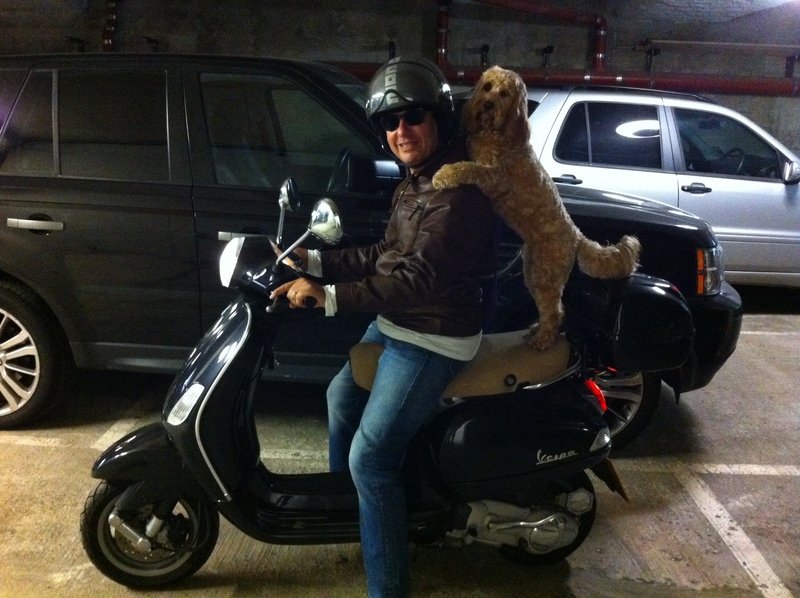 And on a scooter! 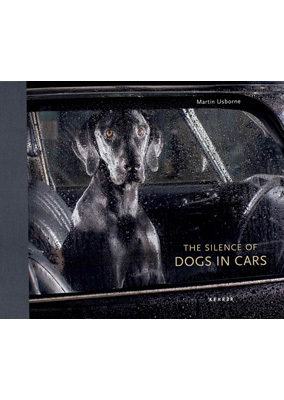 May’s Comment: The series of photographs by Martin Usborne are dark and “silent” – an unusual and intriguing subject for one who has recently been dog-concerned. 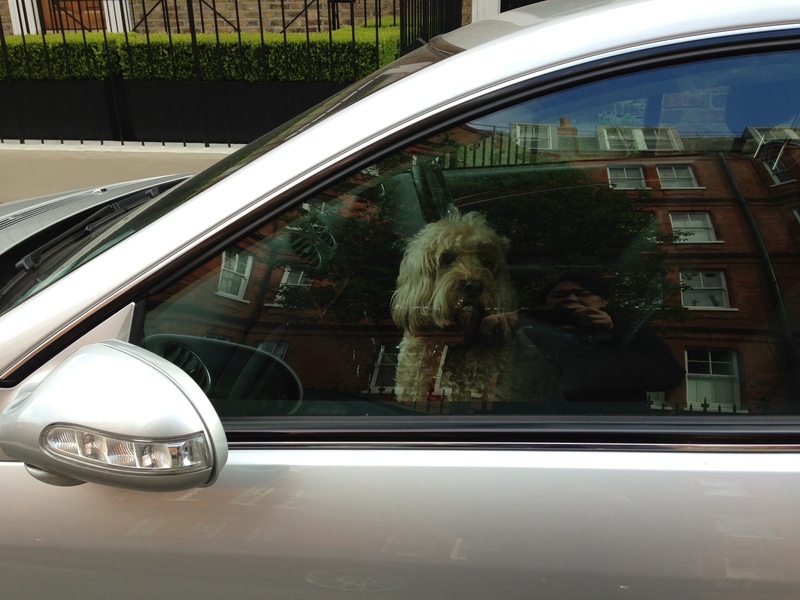 Whether one is a dog lover or not, there’s always something haunting about dogs locked in cars on their own. Sometimes we hear them barking incessantly but muted by the closed windows and doors. Sometimes they are looking out the window always looking for the return of their owner, anxious and searching – their eyes seeing no one but their master. Or sometimes just taking comfort in curling up and waiting, waiting, waiting – feeling abandoned? When we see dogs in cars with their owners, we see them happy, content, being with their Master. But when alone, they exude lonesomeness and “abandoned” though not necessarily for long. 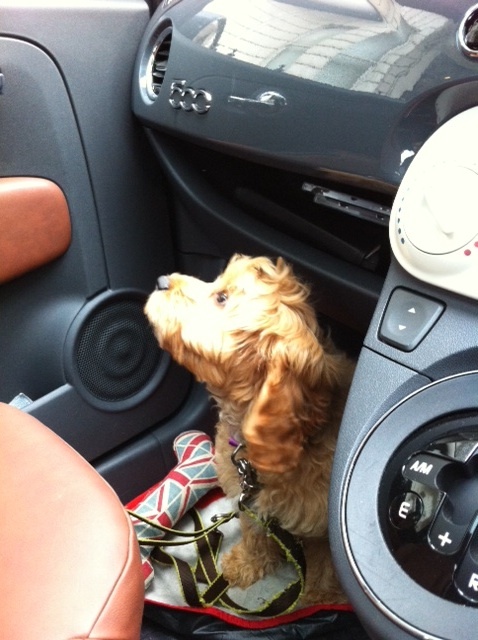 I have tried leaving Darcy in the car once when I went to Peter Jones (no dogs allowed!) and I have never shopped so fast and went running back to the car even faster – to find her curled up in a ball, resigned to the fact that I was not there and with nowhere to go, she decided it was best to accept her circumstance. Other times, they were short errands but was totally anxiety driven having to leave her in the car – mostly driven by fear that someone will take her. I am sure it similar in feeling to leaving a child in a locked car. But a young child would cry from feelings of being abandoned and it is frowned upon by society. As discussed in the Introduction to the catalog, the silence of dogs in cars does in a way transmit and draws on the strong human emotions of abandonment, lonesomeness and feelings of longing. The photographs capture the silenced emotions of captivity. They are dark, sometimes desperate and sometimes alone. They do not emote the usual sense of love and comfort in animal portraits. It shows the dark side of man and canine relationship. An intriguing subject altogether – who would have thought. Those photographs further confirmed my instincts about leaving Darcy alone in the car. I would never do it if I can help it.